How, When and Why Should you become VAT Registered? Goods and services in the UK may fall into one of these 3 different rates depending on the product/service being sold. Books, for example, are zero rated; electronics, on the other hand, have a standard rate VAT attributed to them. Should I become VAT registered? You must register for VAT with HM Revenue and Customs (HMRC) if your business’ VAT taxable turnover is more than £85,000 in a rolling 12 month period. VAT taxable turnover is everything you sell that isn’t exempt from VAT. You can register voluntarily if it’s below this unless everything you sell is exempt. You must register for VAT within 30 days of the month end in which you breached the threshold. Another point to add is that if you expect to breach the threshold in the next 30 days alone, you must register at the start of the 30 days. If you register late, you must pay what you owe from when you should have registered. If you are registered, you are essentially a volunteer tax collector for HMRC. You add the appropriate VAT rate onto all the goods/services you’re selling. This extra money isn’t yours to keep though, you’re collecting it on behalf of HMRC. Right now you are probably thinking “Why on earth would I consider raising my prices when I won’t benefit from the price rise?” well, being VAT registered comes with many perks that may — or may not — outweigh the undeniable drawback of having to raise your prices. You can claim back the VAT on your business expenses relating to your business activities. There are potential savings to be made by being VAT registered (Flat Rate scheme only). If your clients are large companies who are themselves VAT registered, registering could be of great benefit to you. They will be used to seeing prices inclusive of VAT and will be able to reclaim the VAT you charge, making you more appealing than a company who is not VAT registered. It may make you more credible in the eyes of your clients, in the same way that having a limited company makes you appear more ‘professional’. This really depends on your business but generally, if your business sells mainly to non-VAT registered businesses/people; it probably isn’t going to be of much benefit to you if you register. If however, you do sell mainly to VAT registered businesses, then it is worth considering. Remember if your turnover exceeds the compulsory registration threshold, you must register or risk facing heavy fines imposed by HMRC. If you wish to discuss this further, you can contact our specialist VAT team and benefit from a free consultation to evaluate your business position: vat@astonshaw.co.uk or telephone 01603 616300. Just want to know if Adult Support business with a turnover of £200K should register for VAT given it has exceeded the VAT threshold. Hello Mike! A very good question, one that depends on a number of factors. 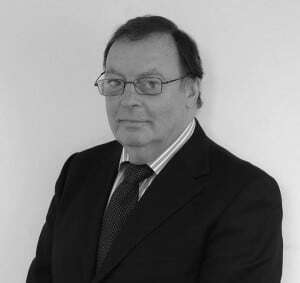 Our VAT specialist, David Fiddy will be in touch with you via email shortly to discuss your options. Do you have a website at all, so we can get an idea of your business structure? I am thinking of buying a café business . The turnover is around the £ 85,000 VAT threshold. It is not currently VAT registered. If I become VAT registered will I have to pay 20% VAT on all sales ? Or just on the turnover , over and above the £ 85,000 threshold level. Thank you for your enquiry. In order to answer your question appropriately, we’ll need to find out a little more about your business. One of our Client Managers will in touch shortly to advise you.